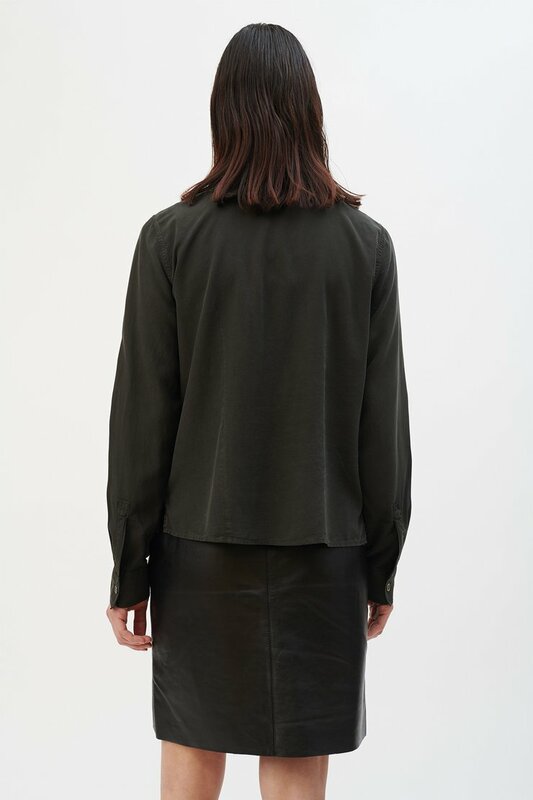 Our Semi Shirt in Charcoal Fine Silk. 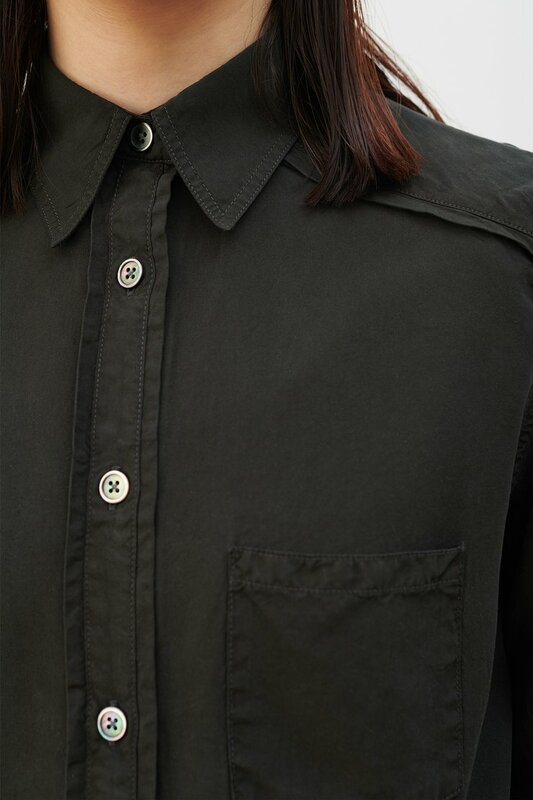 Produced in a delicate silk fabric, the Semi Shirt has a regular fit and features detail piping on placket and shoulder, mother of pearl buttons, a single chest pocket, vented side seams and a slightly curved hem. The shirt has darts at front and back for shape. 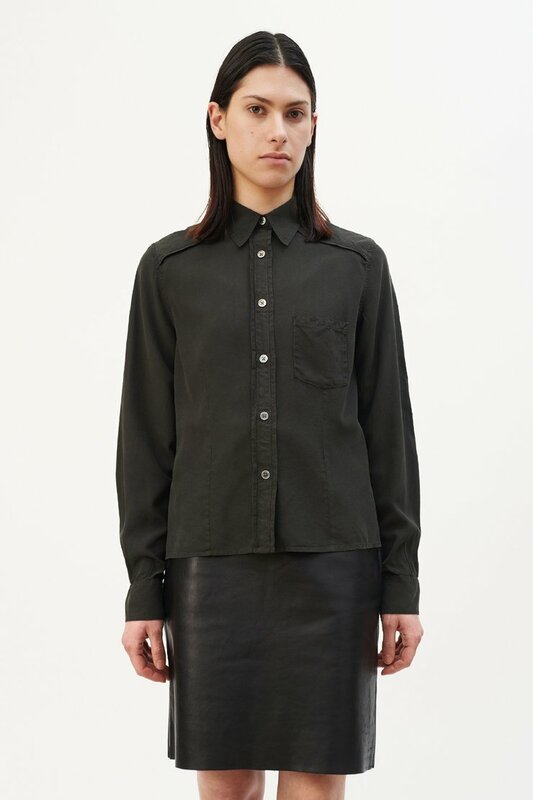 Our Semi Shirt is semi fitted and darted for shape. The model is 172 cm tall and is wearing a size 36.